I don’t know about you, but we have plastic Easter eggs all over our house. For some reason, the collection gets bigger and bigger each year. The Easter bunny brings some, there is always an Easter egg hunt somewhere to add more and I always seem to buy even MORE. With six kids and loads of cousins it really adds up! 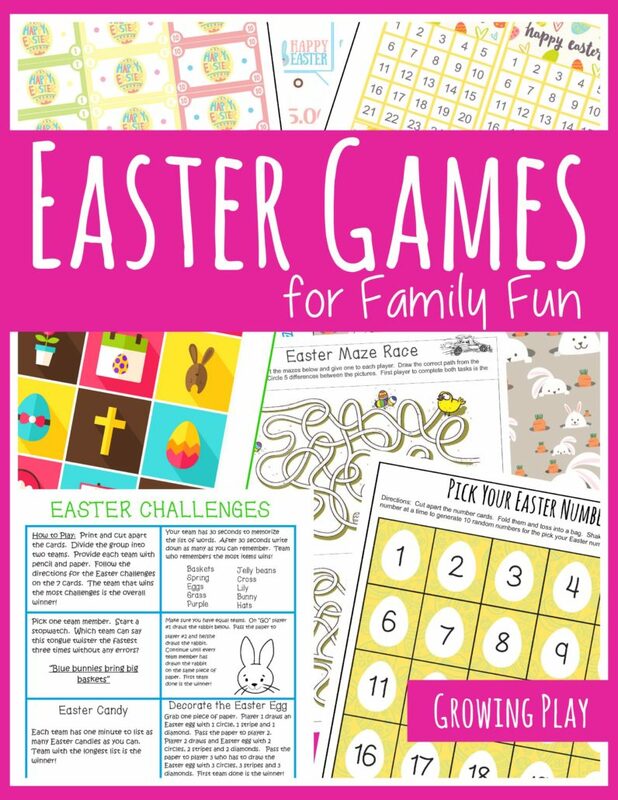 Try playing Scrambled Plastic Eggs Game to get some use out of the plastic Easter eggs. Step 1: Download the freebie (see the bottom of the post). Print the Scrambled Plastic Eggs Game in color or black and white. Step 2: Color in the black and white printable if you choose that one. Otherwise, split up 12 plastic eggs – 2 of each color: pink, green, yellow, orange, blue and purple. Step 3: Hide the 24 halves of plastic Easter eggs outdoors or indoors. 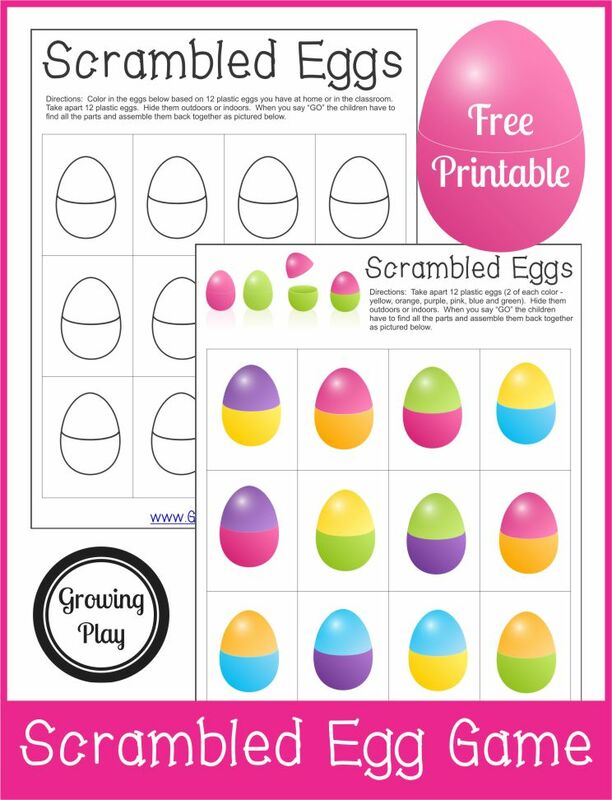 Step 4: Explain to the children that they have to find the eggs and put them together as pictured on the printable. Step 5: Encourage the children to make it a team effort to see how quickly they can all work together and match the eggs. If you want to make it easier, print the cards and cut them apart. Put the plastic eggs together to match the cards. Mix up the plastic eggs in a pile. Can the child pick a plastic egg and match it to the card? If you want to make it a relay race, give one team a set of 24 egg halves mixed up and the other team a set of 24 egg halves mixed up. Give each team the printable Scrambled Eggs page. The object of the game is to be the first team that can put all the eggs back together first. For round two, the object of the game is take apart the mixed up eggs and put them back to the correct color (ie all pink, all purple, etc). Enter your email to get your FREE Scrambled Eggs download.